With a penchant for words, images, research and creativity, and intrigued by the relationship between architecture, city and people, Sofie joined the DDS+ team in June 2015, taking charge of the firm’s external communication. 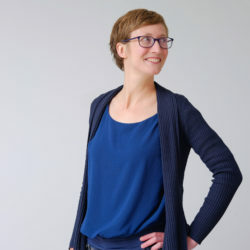 After studying at Ghent University to become an architect and engineer, Sofie began her career as a doctoral researcher and assistant in the fields of architecture and urban planning. She published a series of articles, organised research seminars and gave presentations at various international conferences.